Cruelty-Free, leaping bunny certified shampoo company with a transparent policy - all ingredients are readily available to view and are listed on the bottle! The shampoos are tested to human cosmetic standards, and no parabens or harsh chemical detergents are used. Instead they feature 97% naturally-derived ingredients. Dog Hair Day are proud supporters of the Beauty Without Cruelty initiative and have been awarded the Cruelty-Free International Leaping Bunny Certification, Naturewatch accreditation and the Ethical Shopping Award. 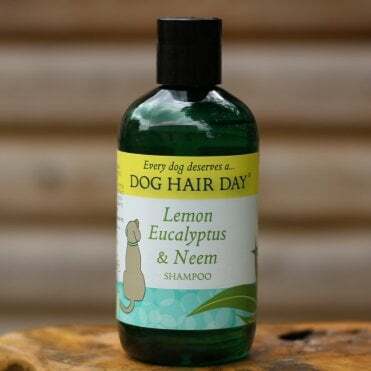 They created Dog Hair Day with 97% naturally-derived ingredients to suit the pH balance of your dog’s skin. 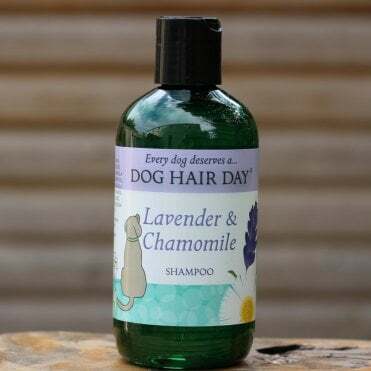 Dog Hair Day has a transparent policy: all the ingredients are available to view on our bottles’ labels and on our website. The shampoos are also tested to human cosmetic standards, and no parabens, or harsh chemical detergents are used to make them. Instead, Dog Hair Day chose the ingredients to work in harmony with your dog’s skin and be naturally fragranced.